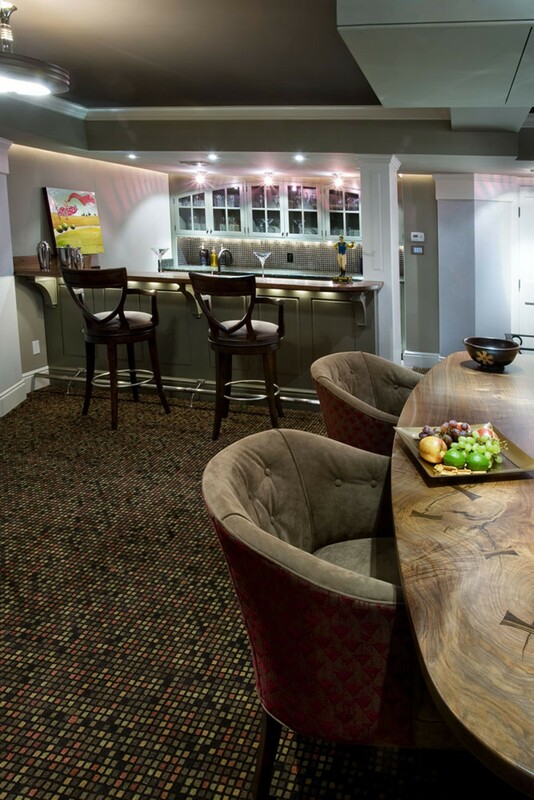 After three years in their custom built home, the Owner was ready to finish the basement in style. Part of the basement slab was removed to allow for optimal multi-level home theater seating and a game room, bar area, spa bath and exercise room were added as well. A new bluestone stair with a wrought iron handrail was installed to a generous bluestone terrace with low brick walls and built in outdoor cooking center. 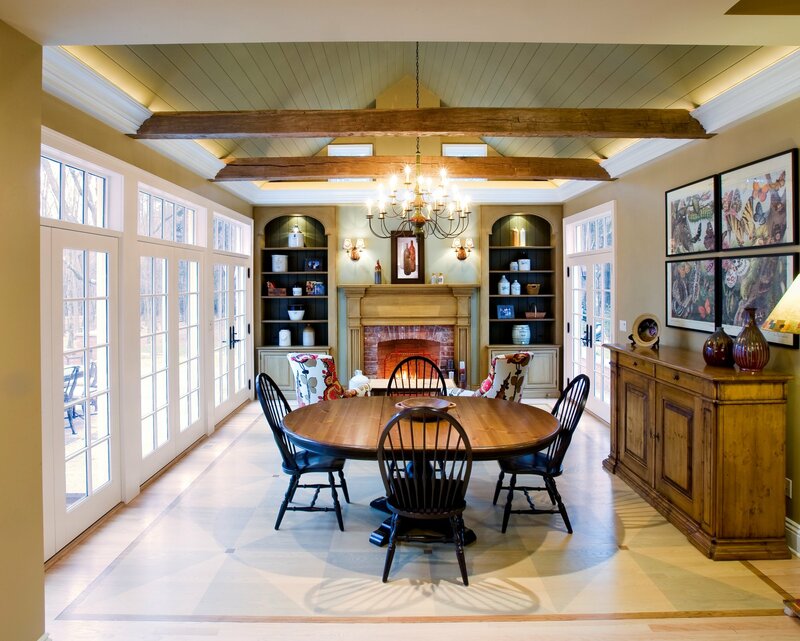 The breakfast room was added that features a cathedral wood ceiling and a Rumford fireplace with historically inspired cabinetry wall and pinwheel stained floor. 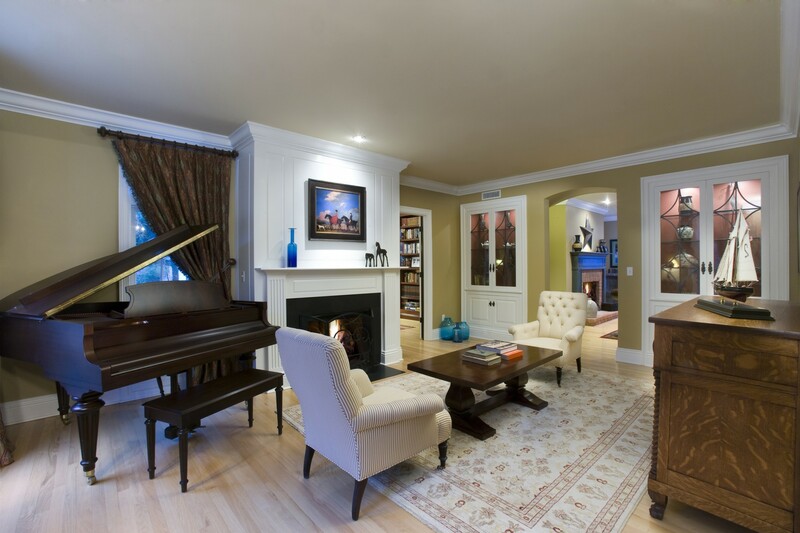 The living room was renovated with a new fireplace and leaded glass door cabinets.